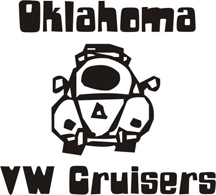 Oklahoma Vw Cruisers • Need 10+ cars for a show on sept 14th. RSVP by 18 AUG!!! NEED confirmations on this one. please post if you plan 100% on being there. We need 10+ participants for the “Dub the Plaza” Show and Shine at 7 pm on Friday, September 14. We need to have all the participants lined up by August 20. Please send me their email addresses once you have them all lined up. This is going to be across from Saints bar in the plaza district. SPACE IS VERY LIMITED, if we dont fill our half, the watercoled guys will get it ALL. This is a great chance for the club to be represented. Please no half finished cars, sand rails or trikes, by half finished i mean no half primer half paint cars, if you car looks good but is not finished thats ok. I also think it would be cool if everyone had shirts/stickers for the even too. we can work on that once you guys say your going. Re: Need 10+ cars for a show on sept 14th. RSVP by 18 AUG!!! I would like to RSVP one 1966 VW Beetle for Dub the Plaza show and shine. Im putting the 20's on it like all the gangstas have. Sure would like to make this but we will be on the way to Tulsa for the Tulsa show. Count me in. I can make more shirts if needed. More color choices this time. I'm down for a shirt or two.